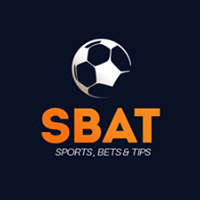 The live games come thick and fast in the Blue Square Bet Premier and Thursday's match between AFC Wimbledon and Crawley Town is a mouth-watering prospect. The Wombles suffered their second 3-0 defeat of the season at Luton last Friday. They'll still be slight favourites to win on Thursday at a price of 6/4 though. Crawley can be backed at 13/8, but the draw should be considered at odds of 9/4. Steve Evans' side are unbeaten away from home and barring a collapse when 2-0 up at Cambridge they would have a 100% record on the road. AFC Wimbledon boss Terry Brown will need to restore confidence in his team after their nightmare trip to Kenilworth Road. At this time last season Brown managed exactly that as his team bounced back with good wins after their first three defeats of the season. He'll be hoping to avoid that end of season form when a distant play-off hope was not reached due to nine losses in their last 14 games. I don't think Wimbledon are as fragile this campaign but Crawley's attacking threat will take some stopping. On Tuesday I like the look of Cambridge United to beat Kettering Town at odds of 7/10. The U's look like they can score plenty against struggling teams at home and the Poppies are faltering of late. Jean-Paul Marna's late equalizer against Wrexham on Saturday may be a turning point for Lee Harper's team but I'd still favour a home win here. One of the games of the season sees Luton Town making the long journey to Darlington, where they will be favourites at 11/10 to take all three points. I think that's a very good bet for Richard Money's team to register back-to-back wins in two huge games. The fact that Barrow are Evens favourites for an away game tells us all we need to know about their opponents Altrincham's start to the season. With the visitors on a long unbeaten run they could heap more misery on Alty. Fleetwood Town's great start to the season is reflected in their odds-on quote of 7/10 to win at home against one of the more established sides in the division Kidderminster Harriers. Eastbourne Borough were comfortable winners on Saturday but will surely find Forest Green Rovers a tougher nut to crack at the New Lawn. Dave Hockaday's team have the best defence in the division whilst playing at home and just need to find the ability to score more regularly to get the points their performances deserve. A home win is favoured at 5/4. Grimsby Town are 11/8 to win away at Gateshead and whilst that could appeal to some punters just on the names of the teams alone - nobody who knows about this division will take the game as a foregone conclusion. Newport County are experiencing a solid start to the season and travel to Hayes & Yeading United as 11/10 market leaders for the three points. York City have had a stop start to the season but would achieve a huge boost if they were to achieve a result at Mansfield Town at a price of 15/8. Rushden & Diamonds are the shortest priced favourites of the midweek games as they host Histon. It's 4/11 that Justin Edinburgh's team halt their three game winless run. Tamworth are the second strongest favourites as they continue their fantastic form. It's 4/7 that they can overcome Bath City at home. Wrexham's ability to hold on to a lead will be under scrutiny again when they welcome Southport to the Racecourse Ground. Dean Saunders' side have failed to close matches off in the past few weeks but are 4/5 to make amends here. A £10 bet at the current Blue Square prices returns £45.